Why choose Toppersnote’s Compiler Design & Theory of Computation? Theory of computation acts as an intermediate in process of compilation and hence are bought together to you in a single volume . Click here to check sample. 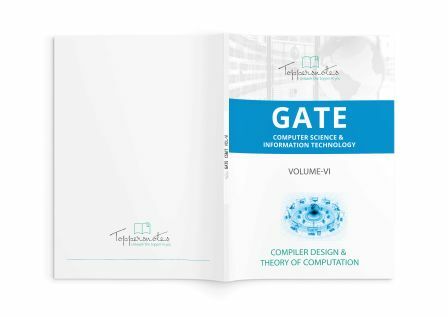 GATE Compiler Design & Theory of Computation notes are a comprehensive package for the preparation of GATE and other entrance examinations, which are designed by Top rankers in GATE. These cover all the important topics. These notes are to the point and well researched. GATE is a highly competitive exam and it needs a lot of hard work, and skill set to crack it. We, at Toppersnotes, understand the need of having the right knowledge of GATE. A lot of GATE aspirants in our survey said that they do not know how to start? & what to study? 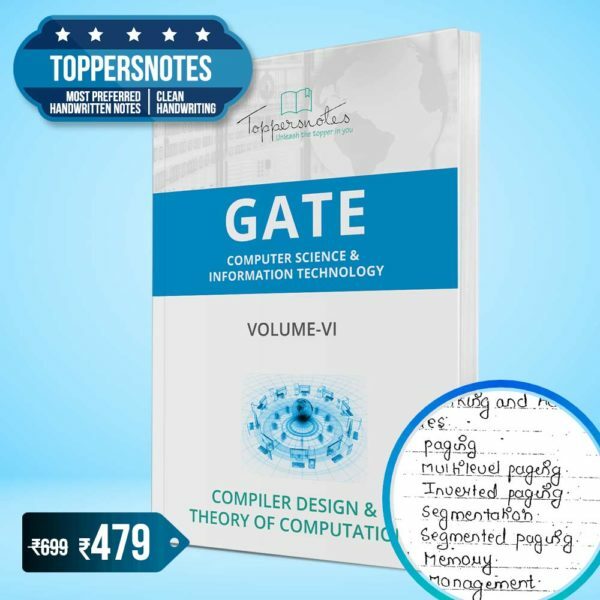 We have come up with a product named GATE Compiler Design & Theory of Computation Toppers handwritten notes, which is a perfect fusion of experience and hard work of both top Rankers and the coaching institutes. 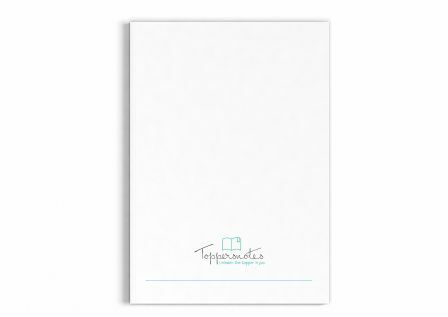 These notes are carefully compiled with good handwriting to give you short and concise theory on the topics which you need to learn and where you need to focus upon. Coaching institutes charge a premium for their experience and understanding of the exam. We bring the benefit of both at a very low price. Saves cost as it delivers the knowledge of toppers and coachings at a small price. The notes will do wonder to your preparation if you also do following things. Join a reputed test series. If possible, make short notes, because it will be helpful in the last days of revision, you could revise concepts in 1-2 days.